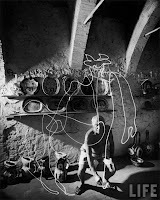 Before light graffiti even came about, Pablo Picasso has already been experimenting on different drawing mediums, including the thin air. 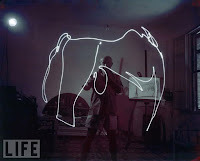 This was of course, an immediate reaction towards the photographs of ice skaters playing with light as captured by Mili. 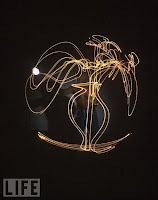 His light drawings were created inside the darkroom using a small flashlight. 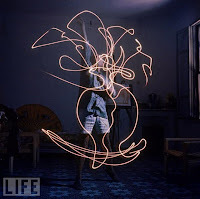 Even though the drawings faded right away, LIFE photographer Gjon Mili was able to capture the artist at work in Vallauris, France. 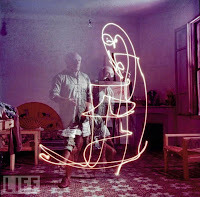 As stated in Mili's portfolio in LIFE, these images were dated back to 1949.